What are the top landmarks in Llangollen? Known as the “Stream in the Sky,” the largest aqueduct in Britain offers incredible views and an unforgettable day out. Enjoy a stop at Valle Crucis Abbey, a landmark worth seeing in Llangollen. Visit the spas and top-notch restaurants in this walkable area. Enjoy a stop at Plas Newydd, a landmark worth seeing in Llangollen. While in this walkable area, find time to visit its spas. Enjoy a stop at Castell Dinas Brân, a landmark worth seeing in Llangollen. Visit the spas and lively bars in this walkable area. Catch an event at Chester Racecourse during your trip to Cheshire West and Chester.Make time to visit the area's spas or simply enjoy its lively bars. 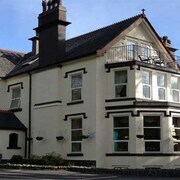 Hotel was clean and the staff friendly and it was situated in the centre of Llangollen.. 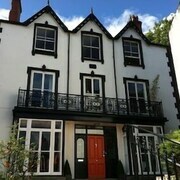 It is in a quiet location with only a short walk along the river to the centre of Llangollen. Great location in Vale of Llangollen, ten minutes drive from Llangollen centre & 10 minutes to the top of the Horseshoe Pass. 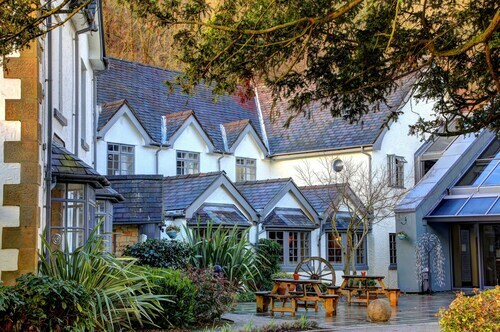 Bryn Howel is ideally situated between Llangollen and Trevor, with the Llangollen canal running right past the hotel to the world heritage site of Pontcysylithe and Telford's aquaduct. 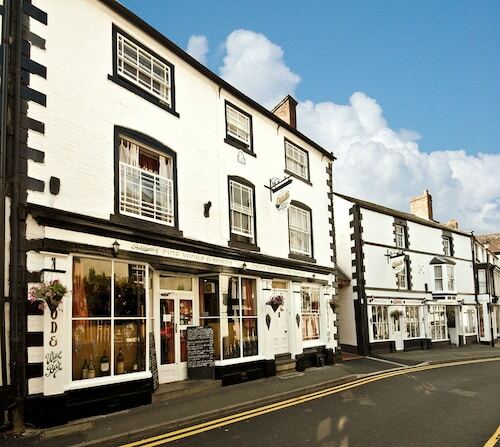 So much to do in Llangollen especially if you're the outdoorsy type, great scenery and lovely cafes and restaurants. Quiet and pleasant accommodation in the heart of a lovely town. Staff were very polite, rooms very clean and well decorated and was a lovely gesture to leave an Easter egg in our room for us and the spa was great. Lovely hotel and will definitely be returning. Situated on the rushing waters of the River Dee in northeast Wales, the medieval town of Llangollen has a fascinating history that belies its diminutive size. Once the centre of industry for farming and wool weaving, Llangollen is now a popular hotspot for those wanting to enjoy the unspoiled Welsh landscape, great hotels and relaxed pace of life. There is an array of outdoor activities and architectural wonders to discover and after a hard day’s exercising or sightseeing you can opt for a well-earned relax in your spa hotel, welcoming bed and breakfasts or sumptuous country lodge. 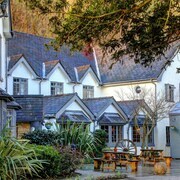 With many hotels located in and around Llangollen you’ll be spoilt for choice with the range of accommodation available. Wake to the sound of water in a hotel located directly on the River Dee, or find a bright room and chic riverside dining in a 19th century spa hotel. 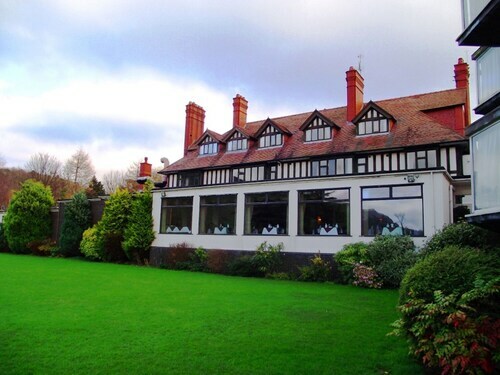 The hotels in Llangollen offer the full range of facilities and are popular with visitors both for their central location and exceptional hospitality. 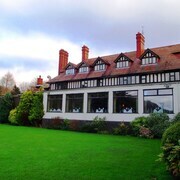 Llangollen’s selection of bed and breakfasts should appeal to even the most discerning of guests. Whether you stay in a Victorian townhouse, an Edwardian farmhouse or a rustic inn, you’ll find bed and breakfasts catering to a range of tastes and budgets. 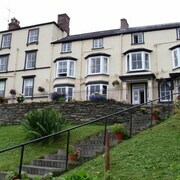 All centrally located, Llangollen’s B&Bs overlook the River Dee and the canal. Why not hop on a horse drawn barge and venture across Llangollen’s famous aqueduct to enjoy views of the valley? For the keen adventurer, a room in Llangollen’s backpacker and youth hostel is a great no-fuss alternative to a hotel or bed and breakfast. With clean bright rooms, a backpacker’s hostel is an excellent affordable alternative. With breakfast included and internet too, it’ll be easy planning your day, whether you’re hiking in the nearby heather-strewn hills or white-water rafting over the dips and turns of the River Dee. The joy of Llangollen is that everything is central. 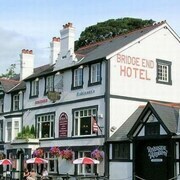 Book a hotel, bed and breakfast or backpacker’s hostel today and you can enjoy the enthralling Welsh landscape, explore the town’s historic buildings and architecture, or just get lost in its riverside craft shops and restaurants. So don’t wait – book the perfect place to stay today with Expedia. Explore Llangollen with Expedia's Travel Guides to find the best flights, cars, holiday packages and more!